Prepare yourselves for an extremely long post concerning my ideas about L4D3′s Campaigns and story-ark. 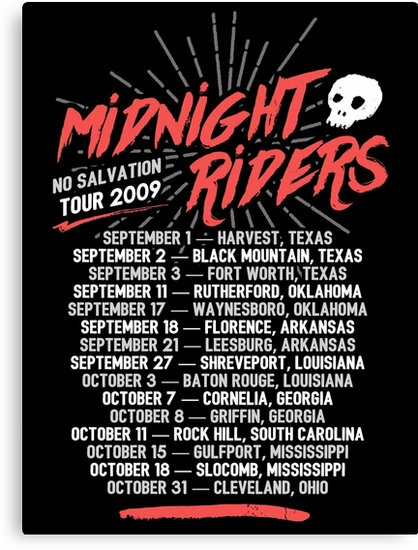 The year is 2012, and the infection as come long been at a stand still, after being successfully contained and prevented from reaching over the Mississippi river, leaving the west/mid-west regions of America unharmed. All of the east coast/southern region is quarantined and bombed, now known as “The Red-Zone”, and is completely off limits to the public. In response to the infected (and after the failure of CEDA), the military funded a new organization know as CEDAME (Civil Emergency and Defense Agency of Military Enforcement) in order to better study the infection prepare for future outbreaks. They did this by setting up a series of large scale safe areas, known as Green-Zones, designed for housing millions of people safely to wait out the infection, should any more outbreaks occur. Unknown to the world, a barge containing the infected began to drift out form the coast in 2008, before being swept out to sea due to the large hurricane (Hard Rain). This barge then drifted through international waters until eventually finding its way to the shores of California in 2011. One year passes until the barges discovery, causing what is to be considered 2nd Infected, before spreading throughout the coast and soon into larger cities. CEDAME then began to evacuate people in large scale to these new Green-Zones. The game would begin 2 weeks after 2nd Infection, 4 years after the 1st. There’s a reoccurring theme i hear concerning campaigns, and it’s that there needs to be ALOT of them and that they need to span a wide range of locations and settings, often being other countries. The only main problem with this is that it would be ALOT of work for Valve to handle (not saying that it’s impossible, just unlikely). The way they care set up could be drastically different, instead of there being 4-5 campaigns with 4-5 chapters each, the same range could be achieved with 8-9 campaigns that have 2-4 chapters each. 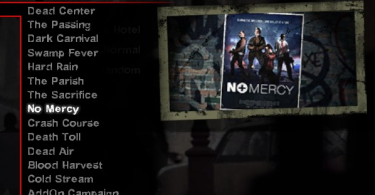 Let me explain, using No Mercy as an example: if there were to be another campaign about a hospital, only those last 1-2 chapters would be there, leaving the other chapters to be filler (streets, allies, apartments, warehouses, sewers, etc.) Those are settings that have already been over used, so these campaigns would be cutting to the good parts (only the bits about the setting). With this in mind, not all campaigns would be short. Some would be bigger (6-chapter) to allow for long-lasting games (like verses). And lastly, the campaigns would not be linear. As in, some chapters have multiple endings, either leading to the same or different finale. Different finales would lead to different campaigns, eventually meeting up at the last campaign. This means when you play through, there would very many ways to play the same campaign, adding new replayability to the game. Now for the actual campaigns. Keeping the previous posts in mind, the first of which would be a very large city, Like L.A. This would be a 7 chapter campaign, 3 of which would be alternate finales, so it would really be 5 if played straight through. This campaign would show off the true limits of an urban environment that has never been seen in L4D before, Leading to 1 of 3 endings: A subway that takes you (almost) out of the city, a helicopter rescue on the roof a Fire Station, or a CEDAME (large evac van) rescue from a truck depot. The subway would take you to a Beach-themed campaign, with a slight twist, It’s night, very foggy, and there is a large storm brewing in the distance. This would only be 3 chapters, 1st having you leave you train for a rich section of town (like Malibu). 2nd making your way across one side of the beach to the other. And 3rd being the Finale at a large pier of some sort (like Pier 39), where you would have to turn on the power, activating all the lights, rides, games, and music in hopes that someone sees it to come rescue you (this is also the only chance to include clown zombies) You get board a fancy yacht from here. The next campaign (following the yacht) would be what most would describe as “China-Town” (http://www.sanfranciscochinatown.com/), giving a very foreign and oriental feel, also spanning 3 chapters. 1st You would start at some docks, surrounded by markets and other fishing boats where you make your way into “rural” part of town as the rain picks up. 2nd would be the real “china-town” part, featuring pawnshops, seafood restaurants, and lots of paper lanterns (good chapter to re-include fireworks). The rain would begin to start a flood, forcing you to higher floors as you make your way out of town (up hill). This would conclude with a finale at an oriental Bed&Breakfast, Where the landscape would change greatly as the water level rises (lower areas become flooded, water damage opens new paths to reach higher areas). You would use Fireworks (of course) to summon your rescue vehicle, which would be another boat. Following where the alternate evac truck have taken you, you find yourselves at a research laboratory, where you were to be studied (since you’re all carriers/immune), but it gets over-run (like everything else). This campaign would introduce many new aspects of how CEDAME is now handling the infection, including special chambers they made to house and study the infected, and new special weapon/items for dealing with the infection (like a Bile-gun, for example). The chapters in this could be easily speculated (large facility), so I’ll only go into detail on one of the crechendo events: It’s a large truck/container blocking your path, containing several biological samples, (most importantly, Bile and Spitter Goo), You blow this up to get across, but doing so covers you in bile (attracting the hoard) and leaks large amounts of goo into your path, requiring you to wait. The rescue vehicle could be a large truck of some sort. And lastly, if you had chosen the helicopter rescue, then you would instead find that it takes you very far north to a snowy themed campaign. This one would be a normal 5 chapter campaign, seeing as how it’s been requested so often, it needs a lot of attention. This would begin in a very rural area, think of the woods from Blood Harvest and add snow. one chapter should contain a frozen lake/river that must be crossed, adding the danger of falling through the ice. This would progress to into a small town (like Riverside) where would need to go through a sewer/drainage system (again, like Riverside). This sewer experience would be much different than before, because in this case all the water at the bottom has frozen into ice and slush. You eventually find yourselves in a more “bustling” area of town, where the snow picks up greatly (due to the storm going on near the coast). The finale would take place at a very large Hockey Rink, with the rescue being a large snow-plow type of truck. Both of those trucks, and the boat, would take you to the last campaign, being centered around a large sports arena. This would only take 4 chapters (because the city theme is already used). I’ll just leave this one up for the imagination, as many can speculate how this one would work out. Will Left 4 Dead 3 Be Scary? I like the idea of of a more flexible campaign line,and with alternate endings/finales would be pretty sick instead of always sticking to the same path. Possibly even if valve didn’t want to go with the alternate endings there could be more then one path to a singular end, instead of a single path with a few corner cuts. THIS FIRST CAMPAIGN IS A SHORT ONE…..
ARE 4 FRIENDS WHO ARE ENJOYING GOING OUT THE MUSEUM… BUT NOW AFTER 1 MONTH OF 1ST INFECTION…THEY ARE DEFENDING THEMSELVES FROM THE INFECTED..
WHO ARE NOW VASTLY STRONGER THAN BEFORE…. YOU FIGHT THROUGH THE FIRST FLOOR AND THROUGH THE STAIRCASE…. YOU MUST GO AT THE BACK OF THE MUSEUM AND CLIMB THE BIG STAIRS UP TO THE ROOF…. can you kindly type without all caps, it would be much appreciated. Iv’e had a new idea that I would add to that list (somewhere), and I call it “Grizzly Park”. The main setting would be a large campground/wildlife reserve. This would mainly be what you see in Blood Harvest and Death Toll, but intensified to the max, pitting you dead center in the deep woods, with your only hope for survival being that camp near the top of the mountain. I normally wouldn’t suggest infected animals, but they existed, this campaign would be a perfect place to run into one.